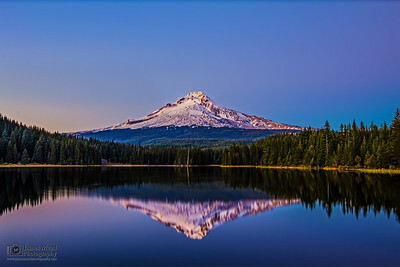 One of the Seven Wonders of Oregon, Mount Hood is the highest Peak in the State. It is also one of the most recognizable. 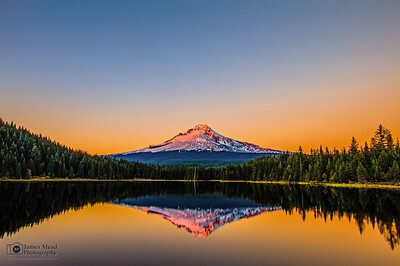 This is photography of Mount Hood. 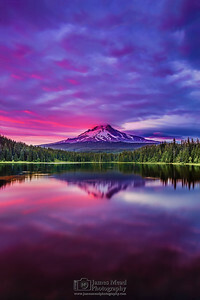 The clouds above Mount Hood rip pink across the sky as the mountain and sky create a reflection in the still waters below. 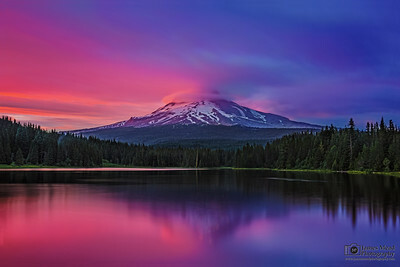 Alpenglow begins over Mount Hood after sunset in the summetime. 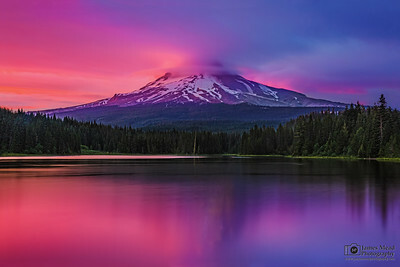 Alpenglow rips color across the skies over Mount Hood after the sun has set. 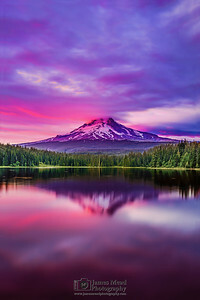 Alpenglow illuminates Mount Hood and the clouds above after sunset. 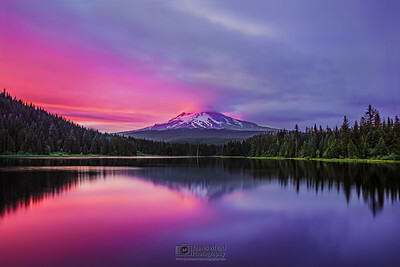 A hint of pink appears just as sunset begins to occur over Mount Hood. 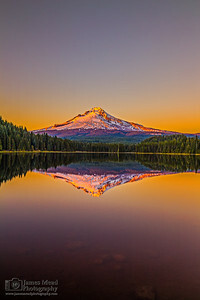 Mount Hood rises above the surrounding landscape at sunset as Alpenglow sets in and the Mountain reflects in the still waters below. 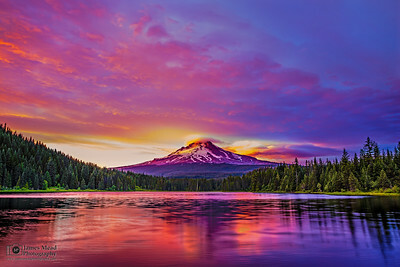 Alpenglow illuminates Mount Hood with color long after sunset as night sets in. 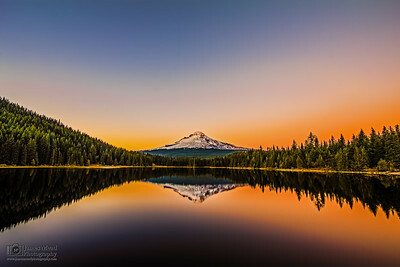 The still waters below Mount Hood reflect the mountain and the skies above during sunset. 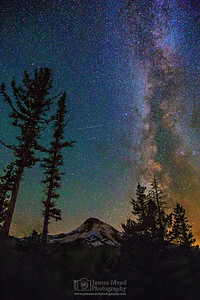 Twilight sets in as dusk nears over Mount Hood. 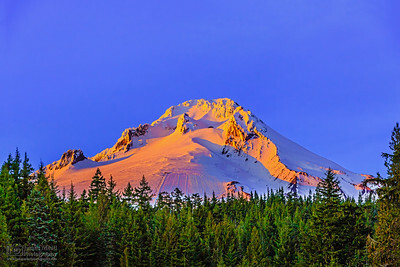 Sunset illuminates the snow on Mount Hood with a golden glow at sunset. 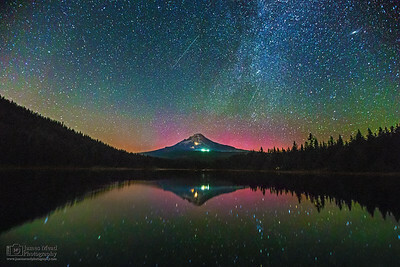 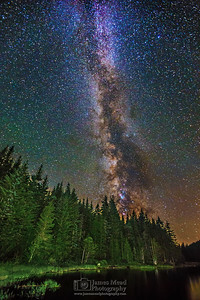 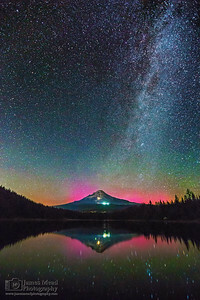 The Milky Way Galactic Core rises high into the night sky above the forests and the waters of Trillium Lake.